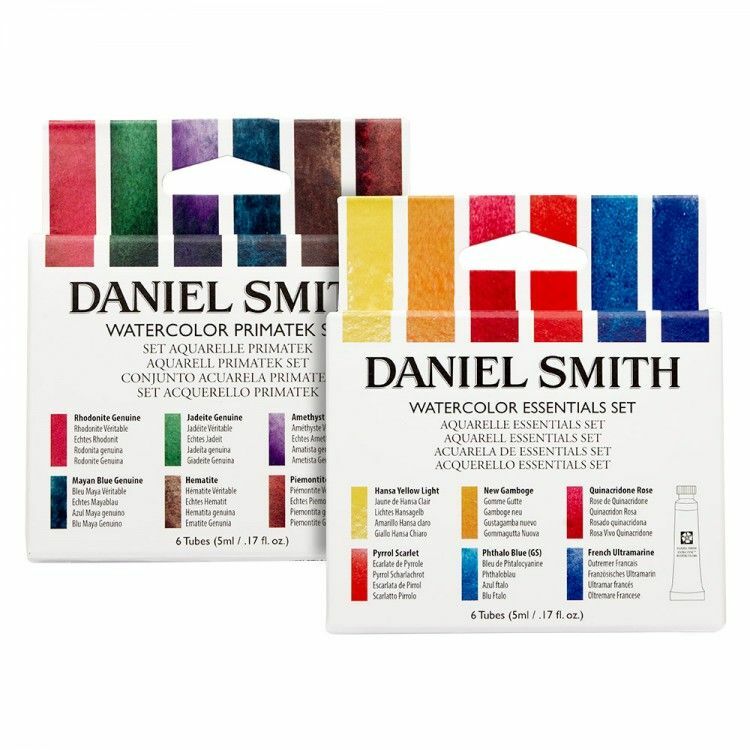 Two sets from Daniel Smith which are great for exploring the range and power of the pigments. The PrimaTek Watercolours mix beautifully with other paints on your palette, they are heavier in body and settle into the valleys of your paper leaving behind wonderful granulation and textures. The pigments were carefully selected to give you a wide range of colours and textures. 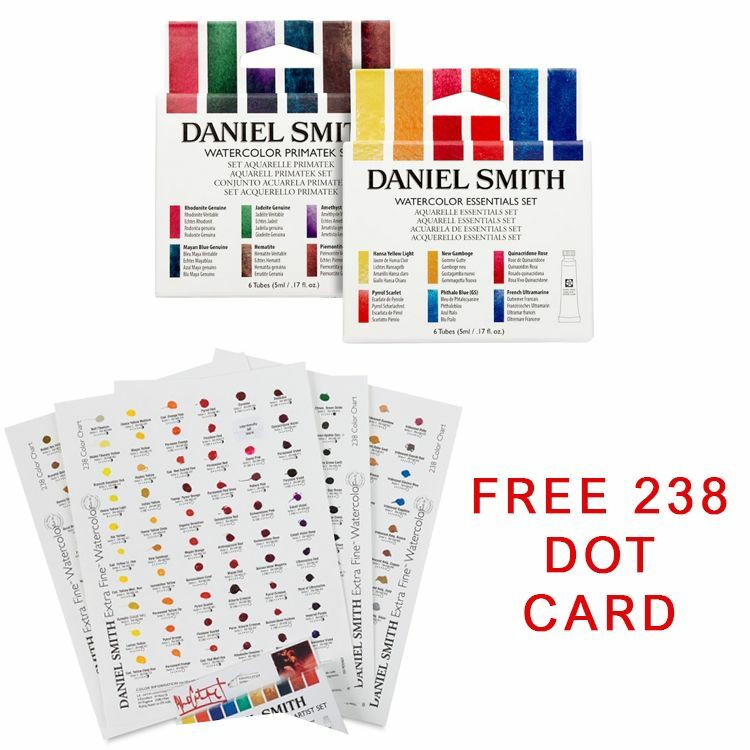 Also included with these sets is a 238 watercolour dot card which is an economical solution for someone who wants to try a range of Daniel Smith Watercolours. Two sets from Daniel Smith which are great for exploring the range and power of the pigments. The PrimaTek Watercolours mix beautifully with other paints on your palette, they are heavier in body and settle into the valleys of your paper leaving behind wonderful granulation and textures. The pigments were carefully selected to give you a wide range of colours and textures. Also included with these sets is a 238 watercolour dot card which is an economical solution for someone who wants to try a range of Daniel Smith Watercolours The PrimaTek Set includes 6 tubes in the following colours: Rhodonite Genuine, 5ml Jadeite Genuine, 5ml Amethyst Genuine, 5ml Mayan Blue Genuine, 5ml Hematite Genuine, 5ml Piemontite Genuine, 5ml The Essentials Watercolour Set is great for replacing some of your staple colours, the transparent watercolours have been carefully selected to give you a wide range of colours and values.